An oasis that’s centrally located between Darwin CBD and business area of Casuarina, Novotel Darwin Airport and Mercure Darwin Airport Resort are the ultimate conference and events location. Eight dedicated meeting and function areas offer versatility and flexibility, catering for both small and large events. The three air-conditioned meeting rooms at Mercure Darwin Airport Resort take full advantage of their tropical design. Adjustable trapeze lighting sets the ideal ambience and is complimented by natural light and opening doors onto a private verandah or deck area, allowing guests their own breakaway. 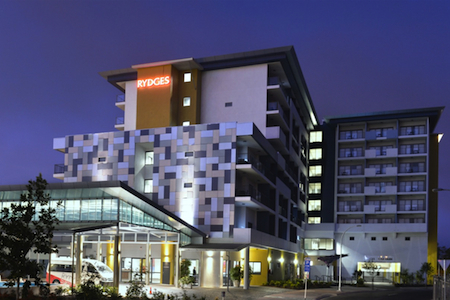 Novotel Darwin Airport is well known for comfort and practically designed, air-conditioned amenities. The six function rooms are ideal for day meetings, offering natural light plus outdoor areas to stretch your legs and refresh. Landscaped tropical scenery and the Mercure Resort’s lagoon pool create a perfect backdrop for your next cocktail, dinner or gala event. At the Novotel Darwin Airport, wind down in style with a Banquet dinner created by Loong Fong Restaurant. The exceptional Chinese cuisine offers a great alternative for your next private or corporate event.